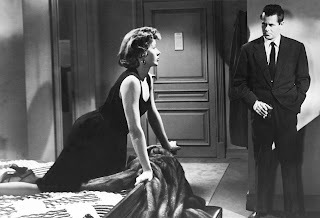 A gritty and brutal revenge noir thriller, The Big Heat is one of the finest examples of the genre. The story of a cop dead set on taking on a large criminal syndicate sizzles with clear-eyed intensity, thanks to sharp writing, edgy directing and fine performances. Lowly cop Tom Duncan shoots himself in an apparently straightforward case of suicide. According to his widow Bertha (Jeanette Nolan), Tom was depressed due to ill health. But then the homicide detective in charge of the case, Dave Bannion (Glenn Ford), receives a call from a Lucy Chapman (Dorothy Green). She claims to have been Tom's mistress, and insists that his health was fine and that he demonstrated wealth well beyond a cop's salary. Lucy quickly turns up dead. Sensing that there is more to the suicide than meets the eye, Bannion attempts to continue the investigation, but is waved off by his commander, Lieutenant Ted Wilks (Willis Bouchey). Bannion: Lucy Chapman used to be Duncan's girlfriend. Wilks: And the army's and navy's. Bannion ignores the order to let the matter drop, confronting powerful mob boss Mike Lagana (Alexander Scourby) about Lucy's death. Lagana quickly retaliates, and Bannion's family pays the price. Bannion declares war on the criminals, including Lagana, his main partner in crime Vince Stone (Lee Marvin), Stone's henchman Larry Gordon (Adam Williams), and the powerful politicians on Lagana's payroll. When Bannion gets close to Stone's girlfriend Debby Marsh (Gloria Grahame), events cascade into uncontrolled violence. The Big Heat is an uncompromising thrill ride. Director Fritz Lang constructs a hard-hitting police drama, inundated with violence, propelled by the ferocity of one man deciding to fight back against much larger forces, consequences be damned. Dave Bannion designates himself as a catalyst to upset the status quo, not necessarily knowing who will be victimized nor what the new order will look like, but certain that the existing corrupt arrangements need to be reset. Debby (to Bannion): When Vince talks business, I go out and get my legs waxed or something. 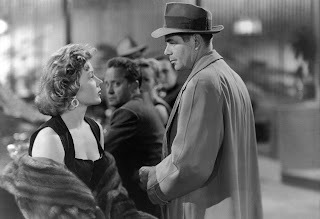 Lang and his cinematographer and namesake Charles Lang give The Big Heat sharp black and white edges, the movie mostly taking place indoors, at night, and at clubs and hotel rooms filled with blinds, shadows, harsh lights, thick smoke, hard liquor, and crawling with unsavoury characters. In contrast, Bannion's tiny apartment where he lives with his wife (Jocelyn Brando) and young daughter is bathed in the comfort of bright light and white furnishings. Vince: Hey, that's nice perfume. Debby: Something new. It attracts mosquitoes and repels men. The violence of The Big Heat is eye-popping. With cigarettes as torture devices and scalding hot coffee as a weapon, pretty faces get hideously burned and disfigured. The shootings are numerous and the death count is high, particularly among the women. The dialogue is just as sharp, courtesy of a Sydney Boehm screenplay, with crime boss Lagana getting some of the best lines imparting his wisdom to the low lifes in his empire. Mike Lagana: Prisons are bulging with dummies who wonder how they got there. 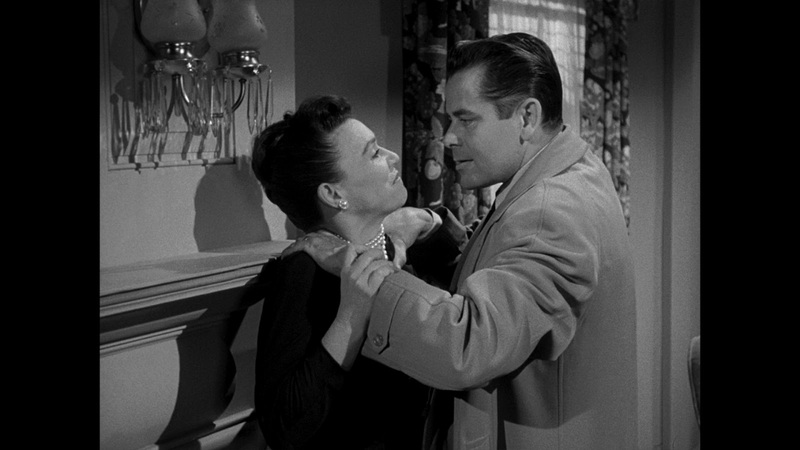 Glenn Ford bulldozes his way through the film, The Big Heat perfectly suited to his uncompromising screen persona. 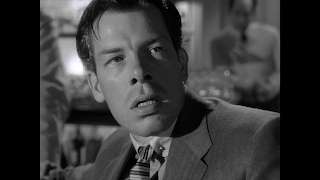 Lee Marvin and Alexander Scourby make formidable foes, Scourby more intellectual as Lagana and Marvin dangerously prone to brutality as Stone, a most memorable oily villain. Gloria Grahame, Jeanette Nolan, Jocelyn Brando and, briefly, Dorothy Green play the quartet of women characters embroiled willingly or otherwise in the world that Bannion is about to disrupt, and all four contribute to the drama. Grahame's Debby Marsh is the most complex character in the movie, a mobster's moll aware of her place and aware that it's not a good one. Debby: The main thing is to have the money. I've been rich and I've been poor. Believe me, rich is better. By the time the bullets stop flying, every character in The Big Heat has been changed. Once the heat is turned up high enough, the pot explodes, and the spill is ever so messy.